Hironobu Sakaguchi has been taking a break from deep, massive RPGs like Lost Odyssey and The Last Story to make some smaller iOS titles. His latest one, Blade Guardian, just dropped on iOS yesterday. In an interview with Siliconera, he mentions that he made this game because he liked tower defense games. Sakaguchi was also asked about where the gameplay hook – the ability to move special units called BLADEs into enemies and enemy bases with the gyro sensor – came from. 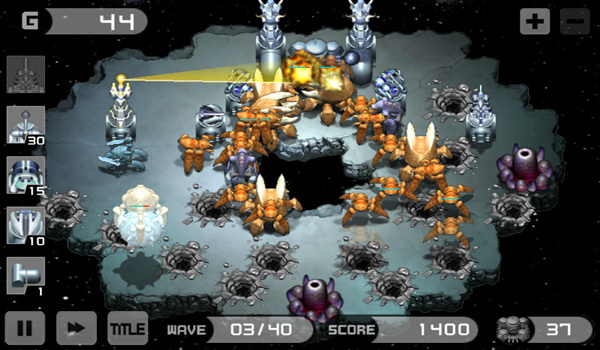 Will already gave his thoughts about Mistwalker’s first iOS outing Party Wave in his review. After downloading Blade Guardian myself, I can say that if you enjoy tower defense games, you’d do well to pick this title up, especially at its $0.99 price point. But that’s just me.